Apologies if the formatting is screwed up. I’ve never posted from my phone before. Much on NATO EX Saber Strike, being conducted in the Baltics and Poland, and the first ever NATO exercise to include a visiting Israeli contingent. Former SACEUR LtGen Hodges argues against US basing in Poland, on the basis that this feeds Russian proxies inside NATO trying to create discord. The Babchenko sting again producing much traffic. Pro-Russian media platform Strana.ua publishes a hitlist of 47 targets, now suspected to be Russian disinformation. One actual hitlist target tells Reuters there is no point in hiding in the West, as he could simply end up like Colonel Skripal. Western media and analyst whining about the sting continues unabated. NP and STL survey murders of journalists and Kremlin critics. Ukrainian journalist Sushchenko sentenced to 12 years jail in Russia for “espionage” – more hostage taking by Muscovy. Accomplished Ukrainian movie producer, known for two documentaries related to the Russian invasion, found dead in what may be a staged suicide. Salisbury attack cost UK police £7.5 million. NCA starts probing dirty money, while reports emerge that a meeting between the UK and Russia collapsed when the Russians insisted their oligarchs being excluded from NCA inquiries. British MP Seely releases his new report A Definition of Contemporary Russian Conflict: How Does the Kremlin Wage War?, which is a good summary of the all of the mischief Russia has been up to globally, with good critiques by Harding and others. More on THAAD in Germany, Russia in Syria, Israel’s charm offensive in Europe, Iran’s bizarre rants, Qatar, Yemen, Saudi Arabia, Russia’s games in the MidEast oil / LNG market, Erdogan as the new “Caliph in waiting”, and Israel orders more F-15I strike fighters, and upgrades to existing ones. VIENNA (Sputnik) – Russia is not seeking to divide the EU member states, on the contrary, Moscow is interested in the bloc being united and prosperous, Russian President Vladimir Putin told the Austrian ORF broadcaster. Ahead of a trip to Austria, Vladimir Putin says Russia wants the EU to be united and prosperous. MOSCOW (AP) — President Vladimir Putin has ridiculed the U.S. indictment of 13 Russians, scoffing at the notion that a person described as his chef could interfere with the U.S. presidential election. Russia would least of all want to see a nuclear war with North Korea raging near its border, President Vladimir Putin told Austrian TV, adding that Moscow will “exhaust every effort” to resolve the tensions there peacefully. Russian President Vladimir Putin says the federalization of Ukraine and the rejection of NATO could resolve the “Ukrainian problem.” Putin wants Ukraine to build independent statehood on federative principles. Russian President Vladimir Putin says the federalization of Ukraine and the rejection of NATO could resolve the “Ukrainian problem.” “This is one of the problems, but not the only one,” Putin said in an interview with Austria’s ORF TV channel, answering a question from ORF news presenter Armin Wolf whether the Ukrainian problem would be resolved if Ukraine declared itself a neutral country like Sweden or Austria and would not join NATO. President of Russia Vladimir Putin excludes return of occupied Crimea to Ukraine on any terms as he claimed to the Austrian TV channel ORF. ‘No, there is no such terms’, Putin said when he was asked about the terms on which Russia will return Crimea to Ukraine. The Russian president is heading to Austria, where he’s sure to get a warm welcome. Leader of Austria’s Freedom Party Heinz-Christian Strache says he wants to end EU sanctions imposed on Russia in response to the Ukraine crisis. The official says the measures have damaged the Austrian economy. WASHINGTON (Sputnik) – Poland’s request for the United States to establish what would be the first such facility in Eastern Europe is unlikely to achieve consensus within the 29 member NATO alliance because the move would be unnecessarily provocative toward Russia, retired three-star US Army General Ben Hodges said on Monday. On Tuesday, Ukrainian officials announced that Arkady Babchenko had been shot and killed in his apartment. Dramatic photos were released showing Babchenko’s body lying in a pool of blood. His distraught wife was inconsolable. The possibility of a Trump-Putin summit was raised in March. Russian President Vladimir Putin blamed political ructions in the U.S. for difficulties in arranging a summit with Trump, in remarks broadcast on Monday. Talks for a meeting between U.S. President Donald Trump and Russian President Vladimir Putin are in early stages, The Wall Street Journal reported Friday, citing sources familiar with the matter. European Commission President Jean-Claude Juncker has demanded an end to what he called “Russia-bashing” and said that it is time to “reconnect with Russia”. While specifically stating that the EU “would never accept what Russia did with Crimea and eastern Ukraine”, he made it alarmingly clear that it is Russia’s size and importance that make him want to “reconnect”. Council of Europe will share responsibility for grave human rights violations if it gives in to Russia now, the watchdog says. Joshua Yaffa writes on the young Russian anarchists and anti-Fascists who were jailed and tortured by Vladimir Putin’s F.S.B. for an alleged terror plot that seems never to have existed. On the evening on January 23rd, Viktor Filinkov, a twenty-three-year-old software engineer, was at the departures terminal in Pulkovo Airport, in St. Petersburg, waiting to board a flight to Minsk. From there, Filinkov planned to catch a connection to Kiev, where his wife, Alexandra, was living. He never made it. Filinkov was approached by several men who identified themselves as agents from the F.S.B., a successor agency of the K.G.B., and took him to a waiting dark-blue minivan. What happened next, according to Filinkov, was a five-hour-long torture session, which ended with Filinkov in jail, awaiting trial on charges that could send him to prison for up to ten years. Filinkov is formally accused of belonging to a terrorist organization, part of a sprawling case against nine young men in St. Petersburg and Penza, a town four hundred miles southeast of Moscow, who, to varying degrees, identify as anti-Fascists or anarchists, or have overlapping friends in those communities. Those detained, according to the F.S.B., have been planning a violent uprising, aimed at “stirring up the masses for further destabilization of the political situation in the country.” The F.S.B.claims the group calls itself Syet, or the Network. Things are breaking his way. But if China is a tiger, Russia is a pussycat on stilts. …. For the moment things are breaking Mr. Putin’s way. If Syria is to be a playing field for outside powers, the U.S. and Israel would prefer Russia be the leader rather than Iran. Mr. Putin can tell Benjamin Netanyahu that Russia is the best security against the Iranian forces on Israel’s border. At the same time, Mr. Putin can promise Ayatollah Ali Khamenei that Russia will keep Bashar Assad in Damascus and the U.S. out. Despite Mr. Putin’s successes, Russia remains weak, and its leverage over other nations is limited. China can woo its neighbors with multibillion-dollar projects like its “One Belt, One Road” trade initiative. Russia has much less to offer: If China is a tiger, Russia is a pussycat on stilts. Mr. Putin can obstruct Germany’s faltering European project, but he lacks the resources to offer an alternative. In the Middle East, the Kremlin’s position depends on American forbearance. If President Trump decides to make opposing the Assad regime a crucial part of his anti-Iran strategy, Mr. Putin may have to stand by and watch his client fall. Meanwhile, developments at home counsel restraint as well. While Mr. Putin’s string of dramatic foreign-policy successes has shored up his domestic popularity, Russia’s sclerotic economy and corrupt social order ensure that the foundations of his power remain weak. Mr. Putin has made Russia great again on the international stage, but the Russian people would rather see him use that daring and finesse to improve the situation at home. Pompeo/Mattis Ramp Up Pressure On Russia Along NATO Borders And With Ukraine. NATO’s Saber Strike 18 exercises involving some 18,000 troops. NATO’s Saber Strike 18 exercises involving some 18,000 troops from 19 nations have kicked off in Poland and the Baltic states, as the Western alliance looks to boost readiness on its eastern flank. A massive US-led military exercise involving 18,000 soldiers from 19 nations, primarily NATO members, kicked off along the alliance’s eastern border Sunday. A major US-led exercise in Poland and the Baltic states has kicked off. It comes amid interest from Poland in welcoming a permanent US military presence on its territory. America is leading a drill with 18 other nations in Europe’s northeast. One of the largest annual U.S.-led military exercises kicked off Sunday in Eastern Europe, where about 18,000 soldiers from 19 nations have joined together for war games. A major U.S.-led military exercise with 18,000 soldiers from 19 primarily NATO countries has kicked off in the alliance’s eastern flank involving Poland and the three Baltic states of Estonia, Latvia, Lithuania. Non-NATO member Israel will be taking part in Saber Strike for the first time. Several dozen Israeli paratroopers are being sent to Eastern Europe to take part in the exercise. Until now it has been one huge exercise but this year it was decided to split it into two different scenarios; one scenario is a large exercise of 18,000 fighters from many countries, while the second, in which Israel will take part, will have a more limited number of troops. During the exercise the fighters will be trained in combat in several countries, contend with airstrikes by foreign forces, and cross bridges and rivers. IDF paratroopers are in Eastern Europe taking part in Swift Response, Saber Strike. NATO can and must do a lot more to deter Russia without dividing allies. Poland wants to spend $2 billion to get a permanent U.S. base but is it in the best interest of the United States and NATO? Ukrainian journalist Matvei Ganapolsky sees no point in hiding abroad from Russians who might be trying to kill him, because if they want to find him, geography won’t stop them. Ukrainian journalist Matvei Ganapolsky sees no point in hiding abroad from Russians who might be trying to kill him, because if they want to find him, geography won’t stop them. Ganapolsky is on a list of 47 people who Ukraine says Russia has targeted for assassination, a list which also includes Yevgeny Kiselyov, a veteran anchorman who became one of Russia’s best known television journalists in the 1990s, as reported by Reuters. Ukrainian authorities say they obtained the list after faking the murder of exiled Russian dissident Arkady Babchenko, a prominent critic of President Vladimir Putin, in a ruse staged to flush out a genuine plot against him. Ganapolsky, 64, was offered protection by the Ukrainian state after being told, after Babchenko’s sudden reappearance, that he too was a Russian target. Read alsoChief prosecutor elaborates on Babchenko list with 47 potential victims Fleeing abroad won’t help, he says, as the poisoning of the Russian former spy Sergei Skripal in Britain in March showed. A list naming 47 Ukrainian journalists and bloggers who were to be targeted for assassination has been leaked to the media. The authenticity of the list is not confirmed. Whatever the reason for faking Arkady Babchenko’s death, this episode will not make journalists any safer. In the week since Russian journalist Arkady Babchenko’s staged assassination on May 29 (see EDM, May 31), plenty of smoke and dozens of unanswered questions remain. At this point, Ukrainian law enforcement and the security services have still not provided any clear evidence of the Kremlin’s involvement in the alleged attempt on Babchenko’s life. Indeed, on the same day of his surprising resurrection and appearance at a press briefing organized by the Security Service of Ukraine (SSU), where Babchenko was accompanied by SSU head ‎Vasyl Hrytsak, more bizarre details of the alleged assassination emerged. Notably, Oleksiy Tsymbaliuk, a member of a Right Sector nationalist volunteer battalion that participated in the conflict in eastern Ukraine, confessed in a Facebook post after the press briefing that he was one of the co-organizers of Babchenko’s staged murder, closely cooperating with the SSU on this case (MK.ru, May 31). Initially, the spokesperson of the Security Service denied the claim, but shortly thereafter the SSU confirmed Tsimbaliuk’s statement. As it turned out, this Right Sector fighter’s face was quite similar to a suspect’s picture released by the National Police a few hours following Babchenko’s staged assassination (RBC, May 29). According to the Kyiv prosecutor’s office investigating the case, in the beginning of April Ukrainian businessman Boris Herman ordered Tsymbaliuk to murder Babchenko. Herman then paid Tsymbaliuk half of his agreed-upon fees of $14,000, which included money for weapons purchases. After that monetary exchange, Tsymbaliuk notified the SSU about the plot against the Russian opposition journalist (Lb.ua, May 31). On the same day, Herman was detained by the SSU (BBC—Russian service, May 31). In Ukraine, divisive politics and being an enemy of the Russian state seem prime drivers of the Wild West vibe captured in shocking headlines. A Moscow city court has sentenced Ukrainian journalist Roman Sushchenko, a correspondent of the Ukrainian Ukrinform news agency, to 12-year imprisonment in a colony with a strict regime reportedly for trying to learn about a possible attack by the Russian-controlled forces of the self-proclaimed “Donetsk People’s Republic” (“DPR”) on the Ukrainian port city of Mariupol in Donbas. The Russian FSB is said to think that Sushchenko, who flew from Paris to Moscow to his cousin in September 2016, used his vacation not only to meet with the relative, but also to gather information. A graduate of military school, Sushchenko, who had the rank of colonel, allegedly worked for the Ukrainian intelligence service under the guise of a journalist, the Russian edition Korrespondent said. According to Russian investigators, he was interested in structural details of the recently created National Guard of the Russian Federation. In addition, the FSB alleges, Sushchenko was trying to find out confirmation from the former Russian military whether a new offensive by the Russian-backed “DPR” forces against Ukraine’s Mariupol was possible or not. The journalist’s friends claim the FSB was aware of his military past, which became a pretext for spying on him. As UNIAN reported earlier, Moscow’s city court on June 4 sentenced Ukrainian journalist Roman Sushchenko, a correspondent of the Ukrainian Ukrinform news agency, to a 12-year term in a high-security colony. The prosecutors insisted on a 14-year term for Sushchenko. Ukrainian journalist Roman Sushchenko, sentenced to 12 years in high-security prison in Russia, was accused of an attempt to clear up the possibility of a new attack on Mariupol by the “DNR” terrorists. Commersant.ru report that citing their source. According to the Kommersant, Russia’s FSB believes that Sushchenko came from Paris to Moscow to visit his cousin in September 2016 to collect information. “Allegedly, being a graduate of a military school, Sushchenko with a colonel rank worked for Ukrainian intelligence under the guise of a journalist. According to the investigation, he was interested in finding out structural details of Russia’s Federal National Guard Troops Service, created shortly before that. Apart from that Mr. Sushchenko, according to FSB, was trying to clear up the possibility of a new attack on Mariupol from “DNR”,” reports the outlet. As it was reported earlier, the Moscow City Court of Russia has sentenced Roman Sushchenko, the citizen of Ukraine to 12 years in the hard labor colony for the espionage. The court session against Sushchenko took place in the closed regime and the court announced only introductory and resume parts of the decision. Ukrainian Roman Sushchenko, the reporter of Ukrinfiorm news agency, was detained in September 2016 in Moscow and accused by the FSB of espionage. For this, he faces 20 years in prison. Ukraine has appealed to Russia with a demand to release the Ukrainian journalist multiple times. Roman Sushchenko was convicted of espionage after being accused of collecting state secrets on Russia, but Ukraine say the case is ‘politically motivated’. A Russian court sentenced a Ukrainian journalist, Roman Sushchenko, to 12 years in a maximum security prison on Monday after convicting him of spying in a case his lawyer and Ukraine said was fabricated for political reasons. Kyiv and journalism watchdogs have strongly condemned the sentence given to Ukrainian journalist Roman Sushchenko by a Russian court after it convicted him of spying. On June 4, famous Ukrainian movie maker Leonid Kanter shot himself as Vysoky Val reported. A body of 36-year-old movie maker with gunshot wounds was found at his house in Obyrky village, Chernihiv region. The press service of the National Police in Chernihiv region also reported on the suicide of a man. ‘The operational investigative group of the police found a body of a man with a through-and-through gunshot wound in the jaw at the site. The police also found arms near him’, the message said. Informational on the crime was put in the United register of pretrial investigation, the criminal proceeding was opened, all circumstances of the incident are checked. Wiltshire Police have also revealed Det Sgt Nick Bailey was contaminated at the Skripals’ home. Russian oligarchs and multimillionaires are among 130 people who face having their assets frozen in a crackdown by British authorities on dirty money. “Corrupt elites and their illicit wealth” are being investigated by the National Crime Agency (NCA) under new powers known as unexplained wealth orders. Introduced in January, the orders force those suspected of serious crime to explain the origin of their assets, including properties worth more than £50,000. NCA officials are understood to have scaled up investigations into businessmen linked to Vladimir Putin’s regime after the attempted murder of a Russian former spy in Salisbury. Britain’s intelligence community blamed Russia for the nerve agent attack on Sergei Skripal, his daughter Yulia and a police officer in March. Last week Russia and UK representatives had secret talks on post-Skripal deconflicting, in an undisclosed South-Western EU city, that’s according to Christo Grozev, one of Bellingcat’s contributors and a senior researcher at Risk Management Lab, a think-tank with a focus on security threats at New Bulgarian University (Sofia). “Talks fell through as main ask by RU was to ‘leave oligarchs alone’,” he tweeted citing a source familiar with the matter. The report comes amid recent developments in the UK suggesting that the National Crime Agency’s “dirty money” probe is targeting Russian oligarchs. According to The Times, Russian oligarchs and multimillionaires are among 130 people who face having their assets frozen in a crackdown by British authorities on dirty money. “Looks like the UK National Crime Agency is going to start targeting Putin cronies with Unexplained Wealth Orders to confiscate their UK assets. If true, this will be a powerful step,” tweeted Bill Browder, an American financier, vocal Putin critic and, architect of the “Magnitsky Act” who detained (but then released shortly) in Spain on yet another warrant Russia initiated via Interpol. NCA officials are understood to have scaled up investigations into businessmen linked to Vladimir Putin’s regime after the attempted murder of a Russian former spy in Salisbury. Britain’s intelligence community blamed Russia for the nerve agent attack on Sergei Skripal, his daughter Yulia and a police officer in March. RUSSIA is using tactics similar to those used by the KGB at the height of the Cold War to undermine the UK and the rest of the West as part of a “contemporary Russian conflict” that will threaten democracies for years to come, a new report released today has suggested. Russia is waging conflict with the West. It is a conflict in which the full spectrum of state tools are combined in a dynamic, efficient, and integrated way. These tools are military and non-military, overt and covert. Russia has been waging this conflict for at least two decades, even though it has only attracted attention over recent years. It is a conflict that raises profound questions about how Western states and societies operate. By kind invitation of Chris Bryant MP, the Henry Jackson Society is delighted to invite you to an event with Bob Seely MP that marks the launch of his new HJS report “A Definition of Contemporary Russian Conflict: How Does The Kremlin Wage War?” Dr Mark Galeotti will serve as discussant and provide us with his expert analysis on how Russian warfare operates. Bob Seely MP today offers the first comprehensive definition of the nature of modern Russian warfare in a peer-reviewed paper for The Henry Jackson Society – and draws a direct comparison between Cold War-era KGB ‘Active Measures’ and the aggression of Putin’s Russia. A Definition of Contemporary Russian Conflict: How Does the Kremlin Wage War? warns that the West faces a new kind of conflict: one in which military and non-military tools are combined in a dynamic, efficient and integrated way to achieve political aims. Until now, there has been no common agreement on what we are fighting – but Seely offers a comprehensive definition. In his paper, the Conservative MP and Russia researcher offers the term ‘Contemporary Russian Conflict’ to describe the covert and overt forms of malign influence used by the Kremlin. 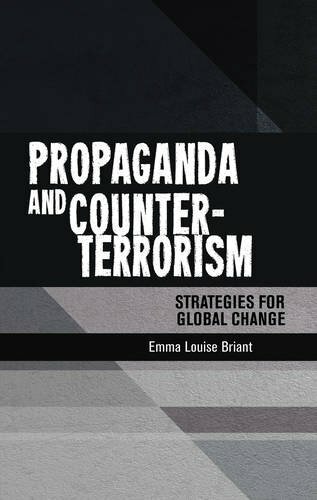 In this co-ordinated approach to warfare, at least 50 tools of state power are used, grouped into seven elements: Political Conflict; Culture and Governance; Economics and Energy; Military Power; Diplomacy and Public Outreach; and Information and Narrative Warfare. At the heart of this is the seventh element: Command and Control. The animated video clips of missiles destroying the US, which Russian President Vladimir Putin presented in an address to the Federal Assembly, have been noted by the Pentagon. As Reuters reports, the US has begun negotiations with Germany concerning the placement of US anti-missile defense systems in the European country. A THAAD system may be installed at the Ramstein Air Base, where the command of the US Air Forces in Europe and the joint NATO Air Force Command are based, an official in the Trump administration said. The preliminary results of the negotiations are such that “Germany will most likely not object to the placement of a THAAD”, the American official said, adding that “this will be another political message to Europeans” that Washington “takes the protection of allies seriously”. According to another source, the German government is open to the idea of deploying anti-missile defense in order to reinforce the protection of the civilian population. Under the existing agreements concerning US forces based in Europe, Washington does not need permission to install anti-missile systems. Nevertheless, the US has decided to solicit Berlin’s support, and will notify Germany before taking any action, the sources claim. Iran, on the other hand, is obviously trying to turn Iraq, Syria and Lebanon into semi-sovereign satellite countries, which Putin is not interested in. On the other hand, he cannot challenge Iranian interests directly and thus will be very happy for Russia to play the role of spoiler to Iranian strategic plans. The same is true for Hezbollah and Hamas, which is simply of no concern to Russia or Assad. Neither has any incentive to oppose Israeli defense plans on its periphery and, in fact, both are apparently happy to guarantee that there will be no Iranian presence on the Israeli-Syrian border in the Golan Heights; all of which is very good news to Israel and to the US. Russia has for all practical purposes become a tactical regional ally of both countries. As for Iran, it may well be that the ayatollahs and their acolytes will not react very strongly to Czar Vladimir’s new ukase. Between large ethnic minorities that despise them and secular Persians who hate them, relatively low natural gas and oil prices, and a disastrous ongoing drought, coupled with anti- regime demonstrations taking place almost daily throughout the country, the mullahs might well welcome an excuse to declare victory and evacuate Syria in order to concentrate the forces of repression in their home country. After all, survival is priority number one for the theocracy that misgoverns Iran. The southern Sunni powers, Egypt, Saudi Arabia, and the Gulf states (with the usual exception of Qatar), will welcome Putin’s initiatives with open arms. They have long decided that Israel is an important, if unacknowledged, ally and Iran their principal concern. As for the other significant regional player, Turkey is in no position to oppose Russian plans, and as the domestic economic and political situations continue to deteriorate, it will have to imitate Iran in paying more attention to the domestic front and less to adventures abroad. Significant developments indeed! The Kremlin seems determined to portray its stealth fighters in the best possible light as prospects fade for mass production of the troubled warplanes. To understand electronic warfare, we must first understand how Russia has adapted and trained to fight for supremacy of the electromagnetic spectrum. Israel’s Prime Minister Benjamin Netanyahu on Monday urged his counterpart in Germany to help curb Iran’s nuclear and regional ambitions after the U.S. broke with its European allies to pull out of the 2015 nuclear accord. ANY hopes Angela Merkel has of persuading Benjamin Netanyahu to reconsider his opposition to the Iran nuclear deal with Iran are sure to be dashed, a former ambassador has said, on the day the Israeli PM arrives in Berlin for talks with Germany’s Chancellor. The Latest on the Iran nuclear deal (all times local): 8:30 p.m. Iran’s top leader says anyone who fires one missile at his country will be hit by 10 in response, but dismisses fears of war as propaganda by the West. Iran will inform the U.N. nuclear watchdog in Vienna on Tuesday over its start of a process to increase the country’s uranium enrichment capacity, Iran’s Atomic Energy Organization spokesman Behrouz Kamalvandi told ISNA news agency. It is to inform the UN that it is starting the process of increasing its capacity to enrich uranium. Iran’s top leader said on Monday he had ordered preparations to increase uranium enrichment capacity if a nuclear deal with world powers falls apart after the U.S. withdrawal, and he vowed never to accept limits on Tehran’s ballistic missile program. Trump abandoned nuclear deal arguing he wants to rein in Iran’s support for proxies in Syria, Iraq, Yemen, and Lebanon. Iran’s top diplomat is pressing other countries to stand up to President Trump’s bullying and save the nuclear deal signed under former President Obama. Iran supports a Russian-led effort to impose Syrian government control over the south of Syria, a senior Iranian security official was quoted as saying on Saturday, amid reports that Damascus is preparing a major military offensive in the area. Faced with a false choice between authoritarianism and imperialism, the Iranian people reject both. In mid-May, an open letter was sent to the EU’s foreign policy chief Federica Mogherini signed by 200 well-known intellectuals. It was an appeal to save the nuclear deal and to avoid a potential military escalation between Iran and the United States. The letter reflects a widely held belief that Washington and its aggressive policies lie at the core of Iran’s misfortune and suffering. US President Donald Trump is perceived as the main culprit and evil-doer. He is, but his policies are not the only reason behind the suffering of the Iranian people. The Islamic Republic’s much-lauded nuclear programme has had a devastating impact on the lives of ordinary Iranians, both economically and politically. Contrary to the regime’s claims, having such a programme does not reflect the popular will of the people. Instead, the nuclear programme reflects the ambitions of the top nomenklatura of the Islamic Republic which has been unfazed by and, in fact, has benefited from sanctions imposed as a result of it. Trump’s withdrawal from the nuclear agreement and the reinstatement of sanctions has presented political activism in Iran with a dilemma – one with which all Middle Eastern peoples have grappled for decades. The Iranian people stand between domestic authoritarianism and Western imperialism and neither force has their interest in mind. Turkey objected to the presence of U.S.-backed Kurdish fighters in the city of Manbij. Turkey threatened to invade the city in January. The diplomatic crisis gripping the energy-rich country of Qatar will enter its second year on June 5. The Trump administration is weighing an appeal from the United Arab Emirates for direct U.S. support to seize Yemen’s main port for humanitarian aid from Iranian-backed Houthi fighters, a move that American officials worry could have catastrophic effects on the country. The U.N. Yemen mediator is in talks with the Houthi movement to hand over control of Hodeidah port to the United Nations in an attempt to avert a possible assault on the city by a Saudi-led coalition, Yemeni political sources said. Nowhere has Russia’s resurgent power been more on display than in the Middle East, where Moscow has undeniably matched, and some would say, outstripped Washington in areas concerning diplomacy, defence, and energy. An unusual coming together of circumstances has reinvigorated Russia’s Middle East policy. Providing this country, with an impressive array of possibilities mostly associated with superpower status. This has consequences for Moscow in the following fields: energy, arms, and international standing. Russia has achieved this through a strategy that combines the needs and weaknesses of the Middle East, while coincidentally benefitting from the relative decline (by choice) of the United States in the region. The war fatigue caused by the US’ involvement in Afghanistan and Iraq led to the withdrawal from both countries by the Obama administration. Although US troops never fully left, the power vacuum created opportunities for others alike to exert influence. With Washington’s hands tied Moscow has been able to quickly fill the gap. A bloc by Gulf Arab countries to counter Iran looks increasingly more divided. As elections near, the president has been nicknamed a ‘Caliph in waiting,’ reigniting the debate over Turkey’s identity. Hot on the heels of announcing it had conducted the world’s first combat operations with the F-35, Israel looks set to bolster its Boeing F-15I fleet with an order for 25 additional jets. The additional jets would be acquired under a new US$4bn (A$5.3bn) package for which the Israeli government was reportedly considering either additional F-35s or F-15s. The F-15s will be built to Boeing’s Advanced F-15 standard which includes a wide screen cockpit display, AESA radar, structural enhancements and two extra wing weapons stations. Flightglobal says the F-15 was chosen over the low observable F-35 because of the former’s greater load carrying capability which comes into play after air superiority has been gained, and that the IDF’s current fleet of 25 F-15Is which were delivered in the late 1990s and early 2000s will be upgraded to a configuration common to the new jets. Previous Post Fake Hit List?